I served as the photographer for an important event at the American Cancer Society yesterday – they received a check for $100,000 from Black & Veatch for our Kansas City Hope Lodge, a facility where cancer patients can stay free of charge during treatment. I got to hang out with the Secret Service and this famous man below. Do you recognize him? (Hint: If you live in Missouri or you’re big into U.S. Politics, you should probably know him.) Shamefully, I probably wouldn’t have recognized him if he strolled by me on the street until yesterday. Speaking of donations to the American Cancer Society, Relay For Life is just one week away and I’m still fundraising! If you’d like to purchase a print of one of my photos, please visit my etsy site. 100% of proceeds benefit the American Cancer Society Relay For Life. 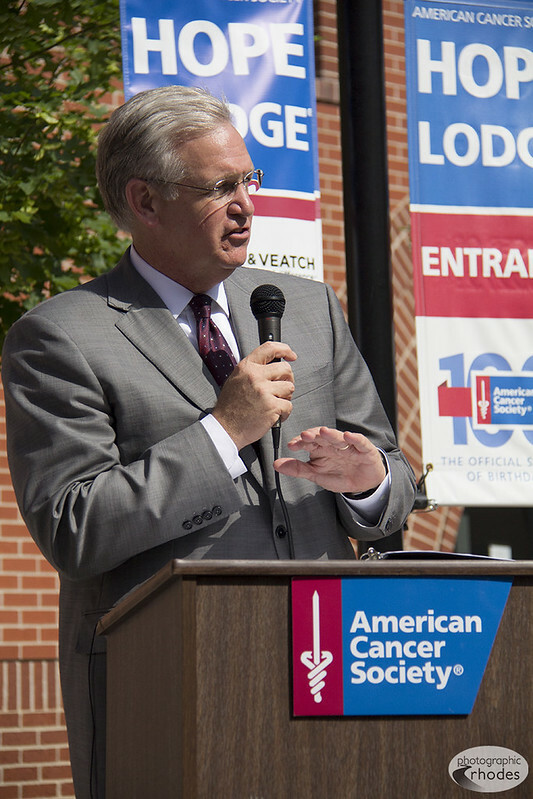 This famous man had a wonderful speech about the importance of cancer research funding at yesterday’s American Cancer Society 100th Birthday Celebration in Kansas City. The big question – who is it?